When there is snowfall all the way down to Zurich, then the Bachtel, a popular summer “peak”, can be skied sometimes. It had been snowing now for several days (end of January 2015) and most of the higher “mountains” in the Canton of Zurich can be skied. Most of them are forest covered, which is not ideal for ski touring. 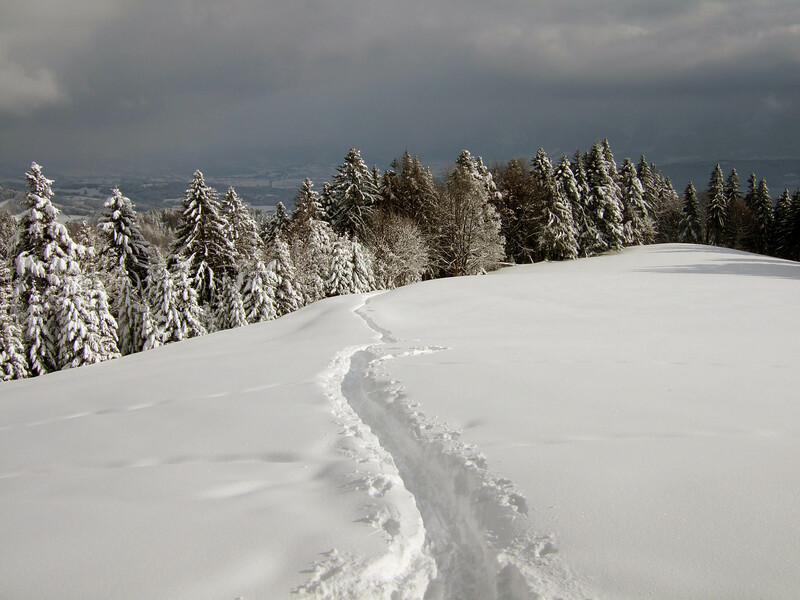 The Bachtel is probably the closest skiable hill North of Lake of Zurich. 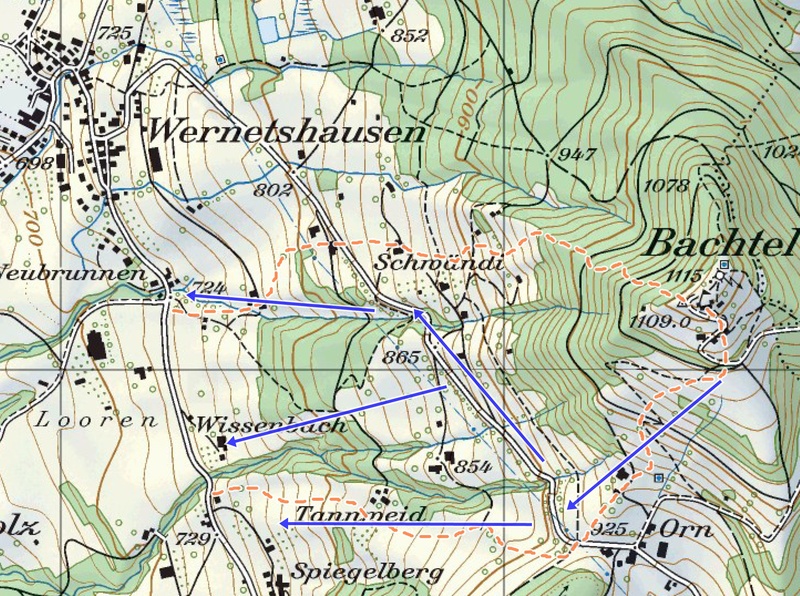 For the Bachtel one starts best South of Wermetshausen (at about 700m) and skins up through the pastures and/or forests (see map below). The top slopes of the Bachtel are actually quite nice to ski in powder (about 30%).